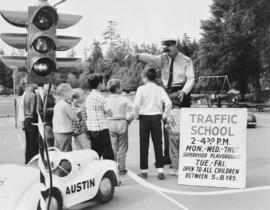 Item is a photograph showing children at Traffic School. 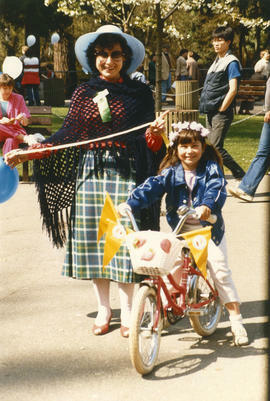 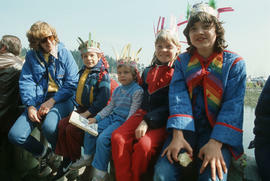 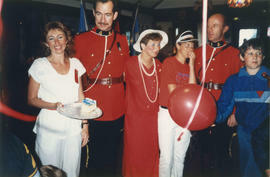 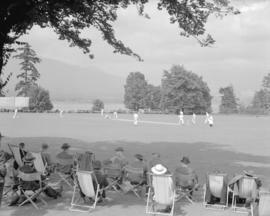 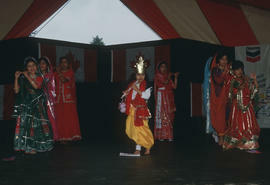 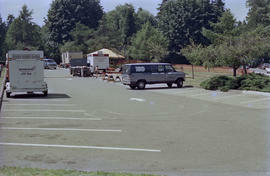 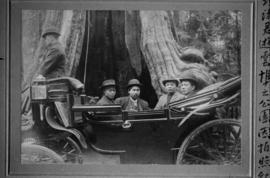 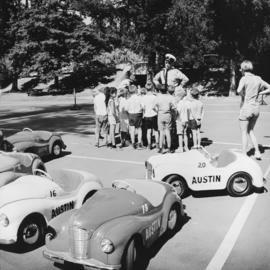 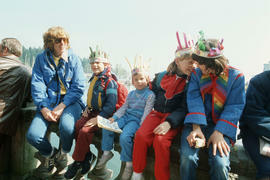 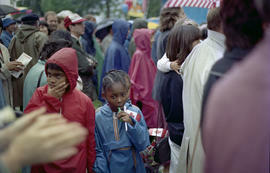 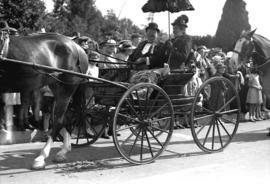 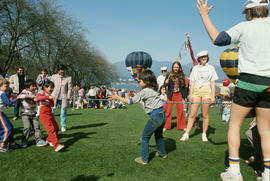 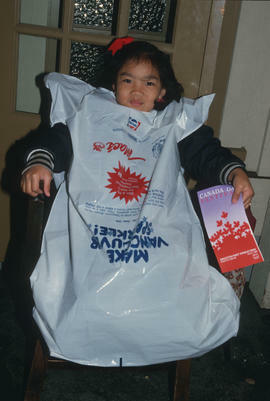 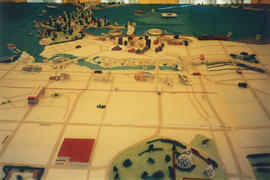 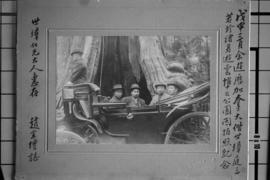 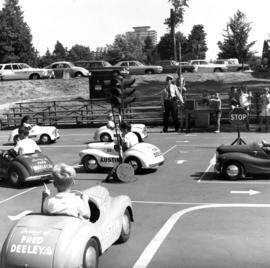 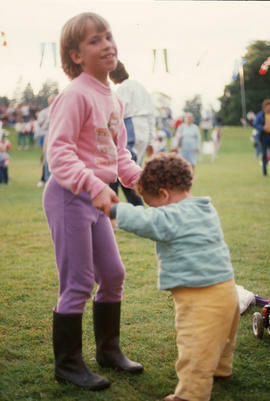 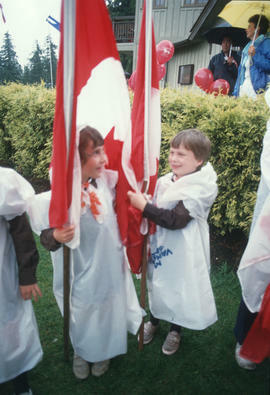 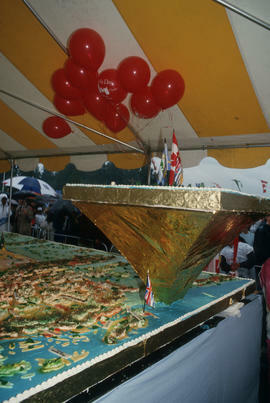 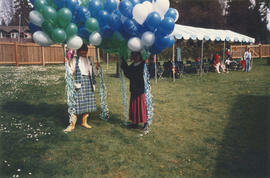 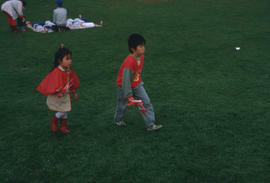 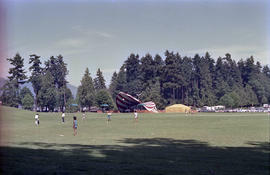 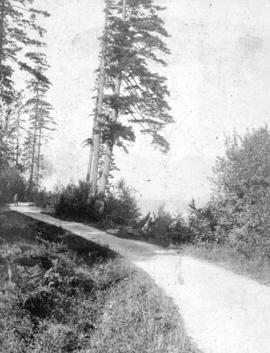 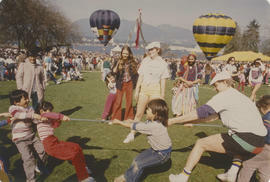 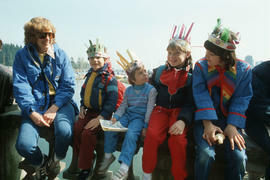 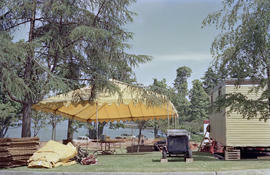 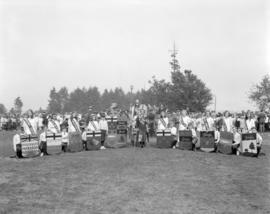 Caption: "Children learn Traffic Safety at the Traffic School held each summer in Stanley Park." 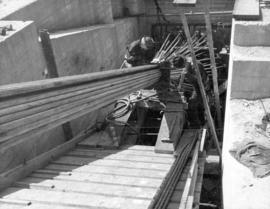 Clamping the last of the 61 wire ropes which go into each cable. 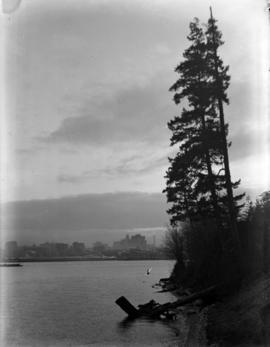 One of the cable anchorages on the South Shore. 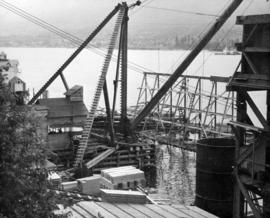 Close-up of South Shore construction plant and trestle erected in connection with underwater foundations for the caissons. 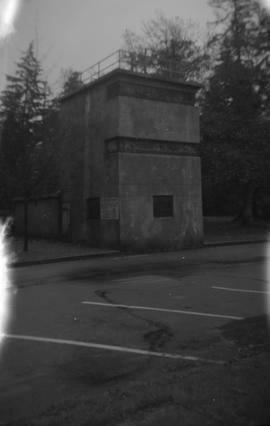 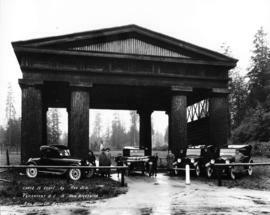 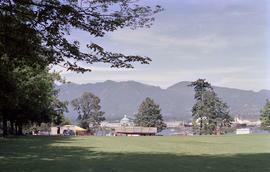 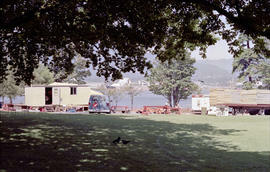 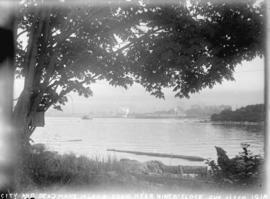 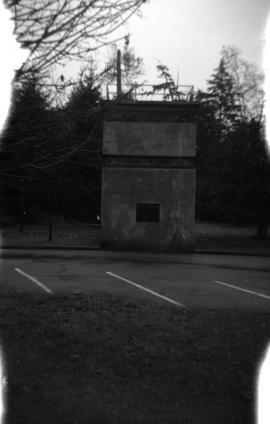 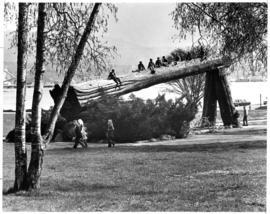 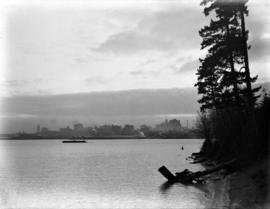 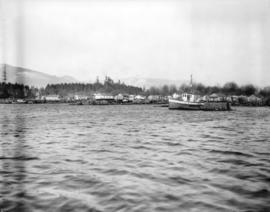 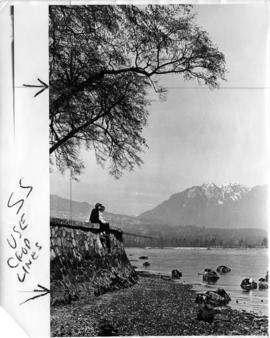 Item is a photograph showing the Coast Defence Fort built during World War II, located at Ferguson Point in Stanley Park. 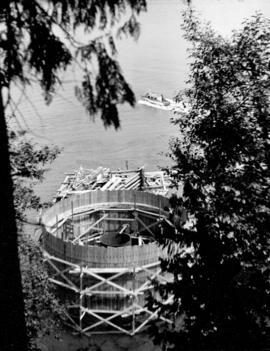 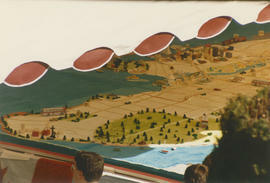 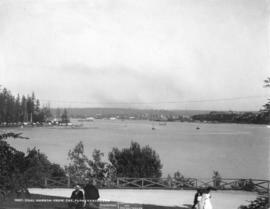 Commencement of construction plant on South Shore, seen from lookout, Prospect Point. 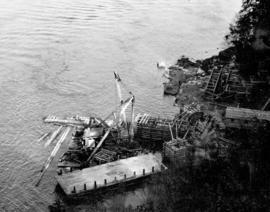 Buttments and first derrick in position.